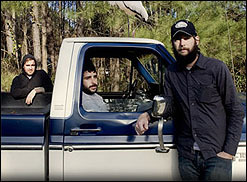 SEATTLE (CelebrityAcces MediaWire) — Seattle indie-rock outfit Band of Horses is taking the show on the road in Europe. Currently on tour in support of their most recent release "Cease to Begin" the boys will wind down their current SRO'd US tour, with the final date on New Year's Even in Atlanta. After a short break, they will be back to work with the first European date landing in Dublin on February 20th at the Button Factory. Their latest release has been well-received by trade publications as well as outlets like Spin and Entertainment weekly and they recently put in an appearance on Letterman.